Formula is the vision of Ann and Jason Dunn, a husband and wife team with nearly three decades of NCAA DI Track and Field coaching experience. Through their experiences, Ann and Jason saw a huge void in the fitness and running scene – a workout experience for fitness fanatics and runners of all levels to be able to train together in one space and get the best workout possible. From this, Formula was born. Ann earned NCAA All-American honors as a distance runner for the University of Wisconsin, and competed professionally in the steeplechase after college. She transitioned to coaching after her collegiate career wrapped up, as an assistant coach at the University of California-Berkeley. During her three years in Berkeley, she guided the Cal women to their first NCAA Cross Country tournament appearance in 23 years, as well as school record breaking performances in the mile, 3K, 5K, 10K and Distance Medley Relay. She has eight years of NCAA DI coaching experience, earned her master's degree in Exercise Physiology from the University of Oklahoma, and is an ACSM Certified Personal Trainer. Jason has coached athletes to over eighty All-America honors at five major universities in his twenty years as an NCAA coach. Eight of those years were spent in Charlottesville at the University of Virginia where he served as the head cross country coach, bringing the program to national prominence and winning ACC championships in 2005 and 2007. After Virginia Jason spent four years at Stanford University where he coached some of the nations top teams and individuals, followed by coaching stints at Kentucky and Oklahoma. He returned to Virginia as Men's Head Cross Country Coach and assistant tack and field coach in the fall of 2018. Though a Northern Virginia native, Emily found herself unable to leave behind the Charlottesville community after graduating from the University of Virginia in 2016. Emily started dancing competitively at 9 years old and continued her career through college on the Virginia Dance Team at UVA where she was team captain her fourth year. 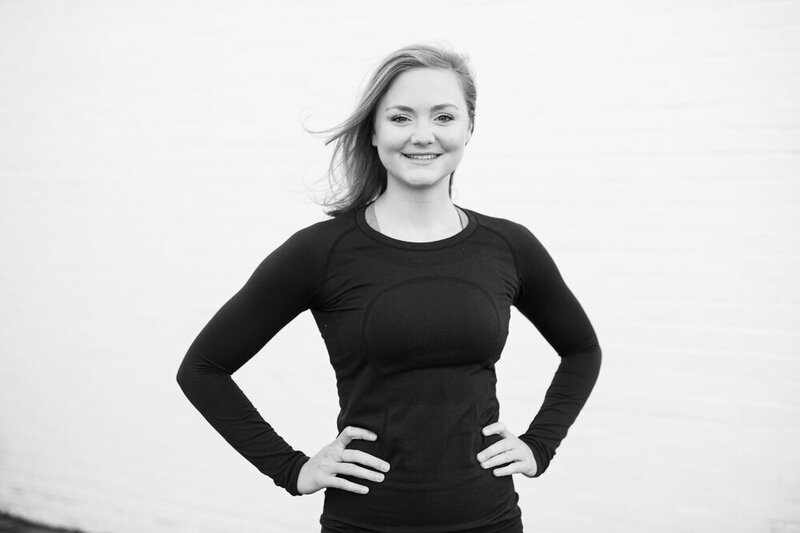 Emily is a NASM certified personal trainer and is currently working toward her STOTT Pilates certification. Emily enjoys training in a wide variety of fitness styles, from strength training and running to yoga and HIIT. Patrick joins Formula from Higher Ground Running in Oklahoma City, a treadmill and fitness studio where he served two years as the Lead Trainer and Program Designer. He has coached first time runners, fitness enthusiasts that “hate” running, high school state champions, Boston Qualifiers, post collegiate elites, and everything in-between. Patrick has trained over 100 half and full marathoners who have seen an average improvement of 10-minutes in the half marathon and 24-minutes in the full marathon. A former Alabama high school state champion and All-Big 12 runner at the University of Oklahoma, Patrick served two years as an assistant coach to Jason Dunn at Oklahoma. He was the 2016 Oklahoma City Memorial Marathon Champion, boasts a half marathon PR of 67:11 and is still chasing his fastest times today. Adam took his lifelong career of running, which included competing on the Cross Country and Track Teams for Central Michigan University, and transitioned to the triathlon world, where he has been recognized as an All-American for the last 2 years. He has competed in multiple Ironman races since 2011, and has numerous podium finishes in races ranging from Sprint to Half-Iron distances. He has served as an Assistant Coach in Track & Field at Madison High School and Cross Country at Mt. Pleasant High School in Michigan. Adam is a certified Strength and Conditioning Specialist and is the founder/owner of Elevate Training Studio in Charlottesville. Michael first became a fitness junkie after college when running became an integral part of stress management, eventually building up enough speed to place in the top 40 of the Charlottesville Ten Miler and qualify for the Boston Marathon in 2016. His wellness practice subsequently expanded to include long-distance biking and freestyle swimming, and at the age of 29 he was introduced to yoga and fell in love with the sweat, intensity, and peace of mind produced by a challenging power vinyasa class. He completed his 200-hour power vinyasa teacher certification through FlyDog in 2018 and more recently became certified in the Yoga Detour Method, a yoga practice informed by modern movement science. His free time is often focused on continuing education in a wide-range of wellness topics including mindfulness, fitness, and nutrition. A wrestler in high school, James started running in his mid-twenties while living in New York City. He started training with Ann and Jason in the summer of 2016 and has subsequently improved his personal bests for 10 miles by 8:30, 5K by 1:10, and the mile by 33 seconds. He’s served as race director for multiple road races benefitting various charitable organizations in central Virginia. He has directed Champion Brewing's weekly run club, winner of ‘Best Outdoor Club’ in Blue Ridge Outdoor’s 2018 reader’s poll, since 2015. Dana ran track and cross country at the University of Virginia where, under coach Jason Dunn, she won the ACC Championship in the 10k and was runner up in the 5k. Post-collegiately she competed in the 2004 Olympic 10k Trials, the 2008 Olympic Marathon Trials, and internationally in the 2007 World Marathon Championship in Osaka, Japan. Dana has served as an Assistant Track/Cross Country Coach for the University of Virginia, Assistant Cross Country Coach for Burnsville High School in Minnesota, and Assistant Cross Country Coach at St. Anne’s-Belfield High School in Charlottesville. In 2008 she helped found and coach Charlottesville’s Ragged Mountain Racing Team, designed to support post-collegiate distance runners. Dana is currently raising her three children and working as a photographer and videographer. She's taken many of the photos and videos on our website.